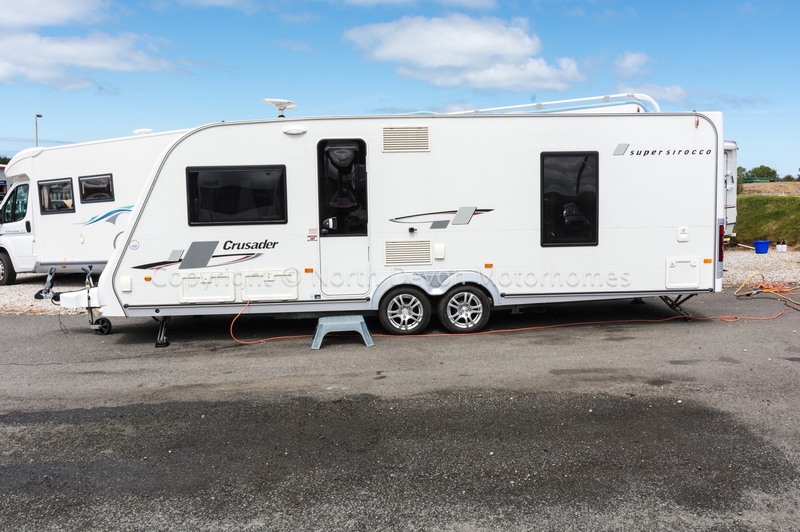 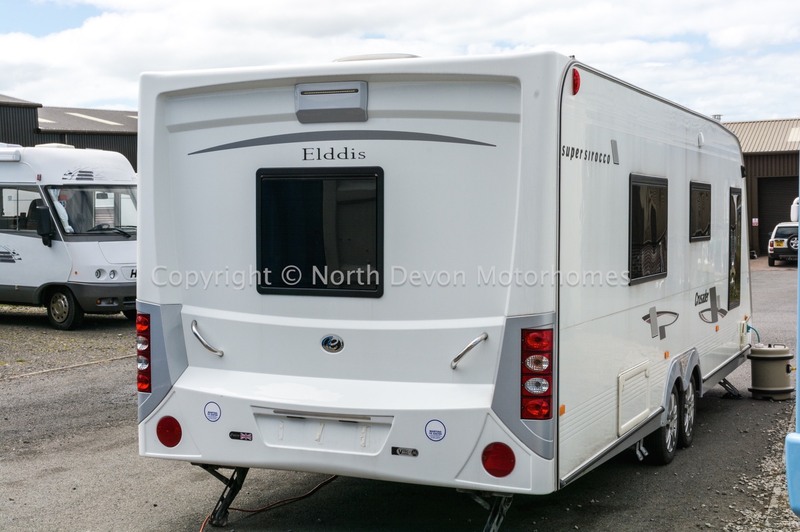 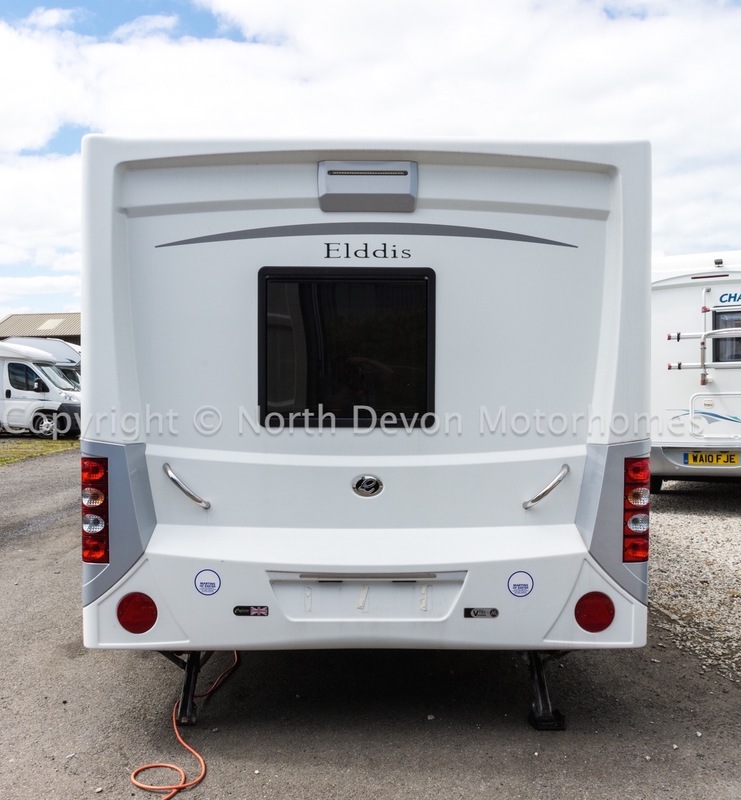 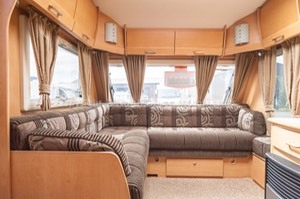 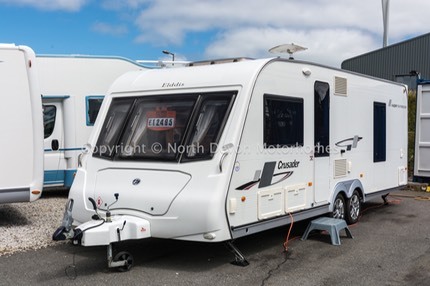 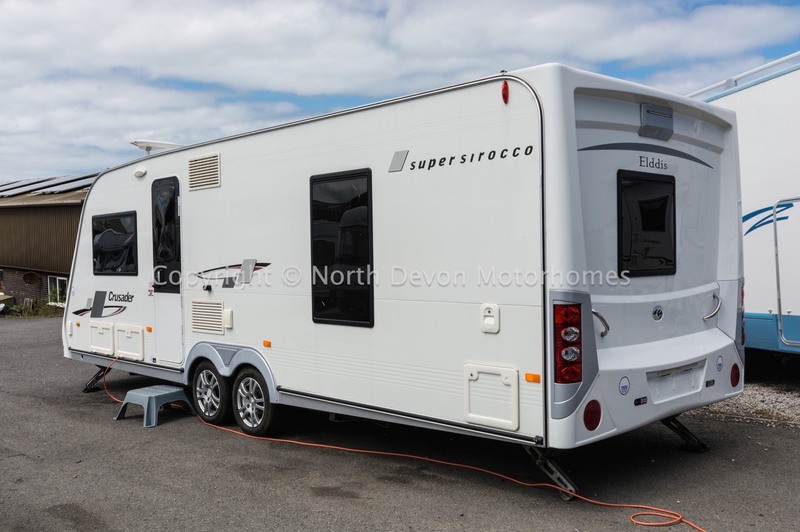 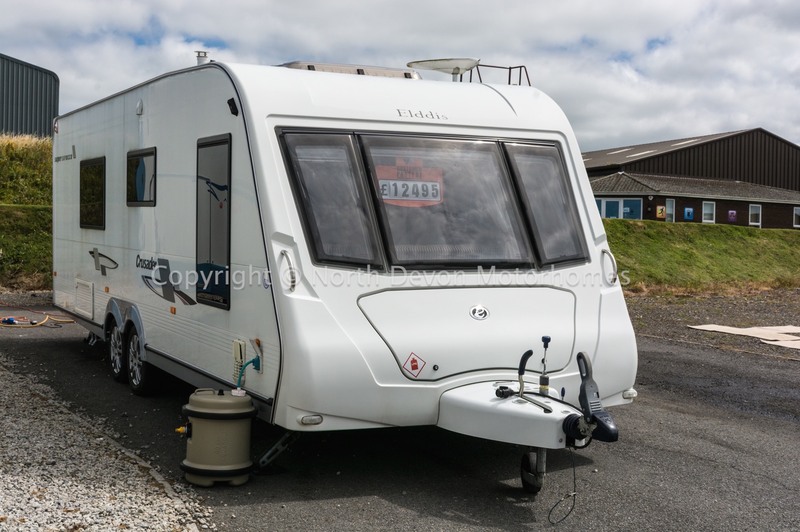 SOLD: Elddis Crusader Super Sirocco 2009, Tag Axle, Fixed French bed, 4 Berth. A fabulous example, spacious yet comfy feel with its favored L-shape lounge, good neutral fabric color co-ordination. 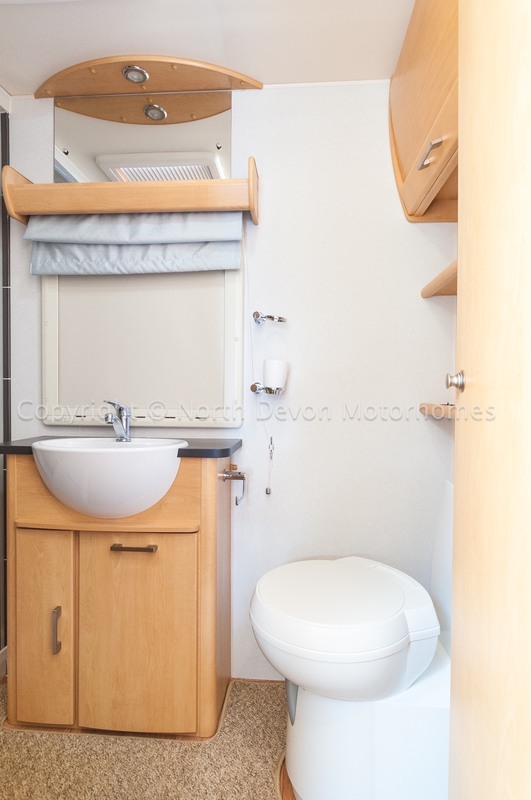 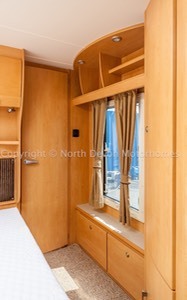 Complimented with a superb rear fixed french bed, leading on to a large end washroom, with a separate shower. 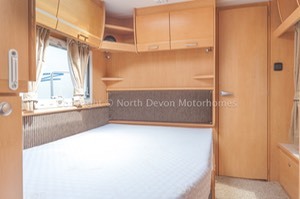 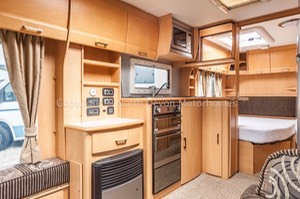 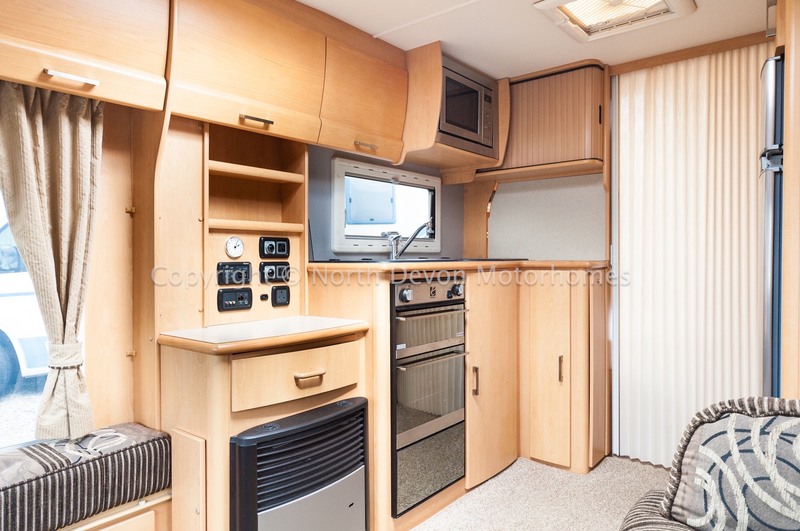 Well equipped with full kitchen and massive amounts of storage available, under the french bed with outside locker access, and the vast array of cupboards, draws, overhead lockers etc. Ample storage with wardrobe plus high level lockers, drawers, heki roof light, storage under bed, tv station, concertina door for privacy. Large end washroom with shower, roof light/vent, swivel base cassette toilet with electric flush, 12 V lighting and hot blown air heating point. 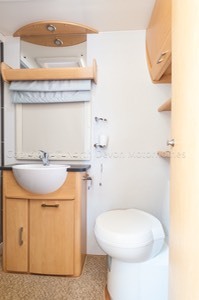 'Airing cupboard' with hot blown air. 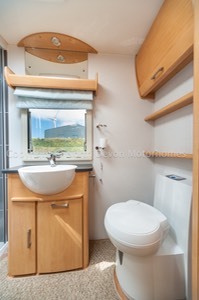 Vanity unit with sink, window over with blinds, mirror and shelf over. 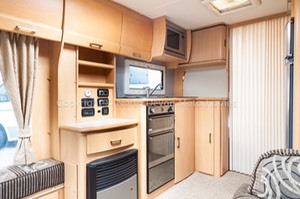 Oven with separate grill, 3 burner hob, Microwave, 3 way fridge with separate freezer and auto power source, large sink and drainer, hot and cold tap, ample storage. 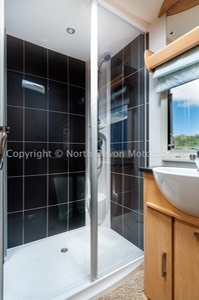 Truma Ultrastore Hot Water System running on Gas or Electric, Truma Ultraheat hot blown air system running on Gas or Electric. 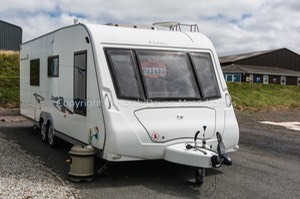 External gas BBQ point. 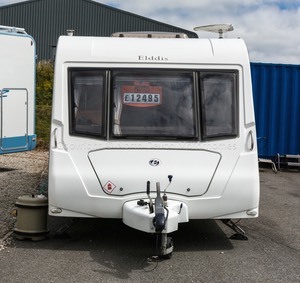 A Status TV Aerial, Alloy Wheels. Full awning, gas bottle, fresh water bowser, 240 volt mains h/up lead, etc.